Travel is something that many people look forward to on reaching retirement age, and with good reason. By the time you reach an age that puts you squarely in the ‘seniors’ category, you’ve spent the better part of your life doing things at a pace dictated by other people, and being a senior often affords you the chance to switch to doing things at your own pace. When it comes to travel this means being able to visit destinations that require a stay of longer than one to two weeks to truly appreciate. Alternatively, you may want to visit multiple destinations without the hassle of rushing to make connecting flights and keeping track of your luggage. Which is one of the reasons cruises are so popular with seniors. It isn’t because cruises are often romanticized in popular culture, but rather that they offer luxury, comfort, and – most importantly – convenience. 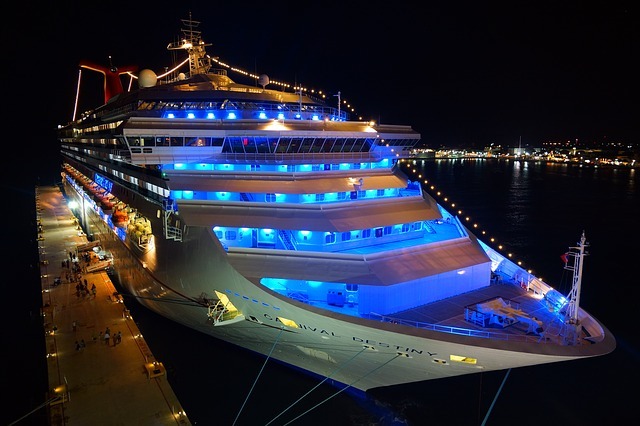 Your cruise could be as simple as a few days at sea before returning to the same port you embarked from, or one that sees you only returning home after three or more months, having taken in dozens of different international locations. But regardless of the type of cruise you choose, you’ll seldom find yourself worrying about time, your luggage, transport, or where to stop for a meal. And if you happen to be travelling alone, you’ll be spending enough time with other travellers to forge new friendships with people who started out as perfect strangers. The cost of medical treatment onboard the ship. This is never covered by Medicare or private health insurance whenever you are in international waters, and only covered in Australian waters if the ship’s doctor is registered to practice in Australia. The replacement of lost or damaged formalwear for use during the cruise. The cost of ship to shore medical evacuation if your illness or injury is too serious for continued treatment by the ship’s medical personnel. This involves the use of air or sea ambulances and the cost can be prohibitively high depending on how close the ship is to land. A small reimbursement for being confined to your cabin for more than 48-hours due to illness or injury. Reimbursement for the cancellation of any prepaid shore excursions as a result of illness or injury. Cover that isn’t limited to 30 or 60 days, since some cruises can last for more than 100-days. As with any travel insurance product, it is important to read through the Product Disclosure Statement (PDS) of any products you are considering. This will reveal the full detail of what is covered, what exclusions or restrictions apply, along with important information relating to making a claim. Most restrictions and exclusions apply to pre-existing medical conditions, but when it comes to seniors travel insurance for cruises, there could be additional restrictions relating to your age, and additional items such as dentures, hearing aids, and other assistive devices. Some insurers don’t offer cover to anyone over the age of 69-years, but it isn’t difficult to find insurers offering cover for individuals in their 90s. Which is why it is always recommended that you compare seniors travel insurance for cruises rather than taking the first product offered to you. You want a product that is both affordable and comes close to matching your exact needs in terms of cover. Finally, if your trip starts out with flying to one or more destinations before embarking on a cruise, you should be looking for travel insurance that includes cover for both the flights and the cruise.